Here it is, the second style set of the week, and probably one of my favorite ones that I’ve made yet! Everybody knows that pajamas are the most comfortable thing in the whole world to wear, but it isn’t always acceptable (or hygienic) to live in them. 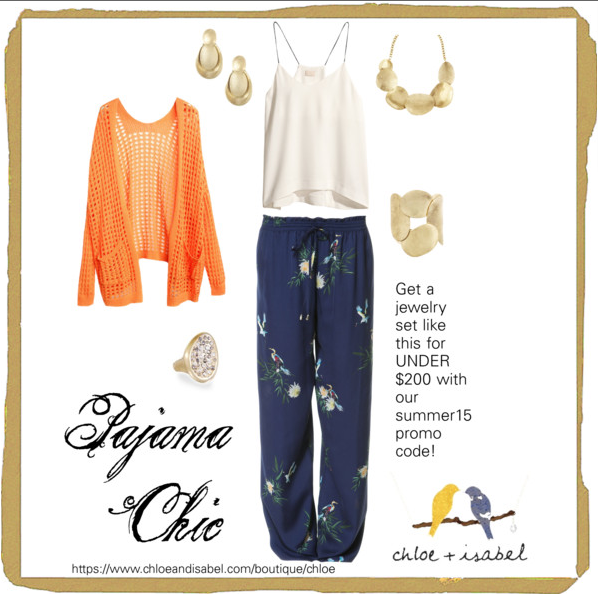 SO, I decided to put together this “Pajama – Chic” look because I strongly disagree when people say fashion = pain. This look proves that you don’t have to sacrifice comfort to be stylish. To see the full details of this look check it out here!